This guide offers local services and resources covering a variety of community needs, including suicide, substance abuse, sexual assault, gender identity, as well as many others. This guide is intended to connect you to resources that we hope will help when you face difficult issues in your life. Remember that librarians are committed helping you find the information you need while protecting your privacy, but we also understand that you might not want to discuss the issue with a staff member. Please CLICK HERE to view a list of call numbers for many of the subjects discussed in this guide and don't forget that PPLD libraries are equipped with self-checkout stations. PPLD is a member of the National Safe Place Network, for more information CLICK HERE. If you or someone you know is experiencing a crisis, please do not hesitate to call Colorado Crisis Services at 1-844-493-TALK (8255) or text "TALK" to 38255. These numbers will connect you to a safe and confidential crisis services by trained mental health professionals. 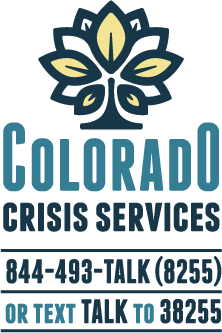 Colorado Crisis Services also operates walk-in crisis centers at 115 S. Parkside Dr., Colorado Springs, CO 80910 and 6071 E. Woodmen Rd., Ste. 135, Colorado Springs, CO 80923.